GREAT COLLECTOR ITEM FOR THE TIGER WOODS FAN! On the cover is Eddie Mathews. See the scan for the condition of this magazine. Overall condition of magazine is Very Good/Excellent. Magazine makes a great collector's item. Note : The grade that I give to the magazines are my opinion and might be different than a professional grader. 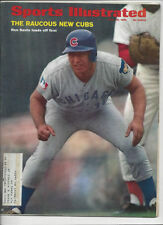 1971 Baseball preseason issue: April 12, 1971: The Great Boog Powell Cover shot. A Great Trio of magazines for the Orioles Fans: Great for Framing together. 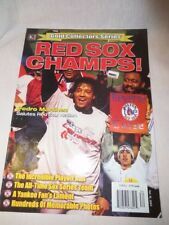 1970 World Series Issue: Oct. 19, 1970. Photos of an issue may look washed out, and isn't as I have tried to take the most accurate photo depiction of each issue cover or inside pages. You are buying a March 25, - April 1, 2019 Manny Machado & Fernando Tatis Jr. San Diego Padres. REGIONAL Sports Illustrated NO LABEL. THIS MAGAZINE HAS NO LABEL AS PICTURED, AND IS A NEWSSTAND EDITION. 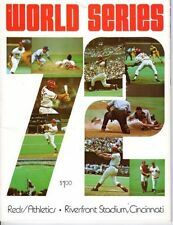 1973 WORLD SERIES SCORECARD & SOUVENIR PROGRAM. Sport Magazine November 1960 Roger Maris New York Yankees cover. This is an October 1962 Sports Illustrated Magazine, Vol. THIS IS ONE OF THREE REGIONAL 2017 BASEBALL PREVIEW MAGAZINE COVERS! Diamond Edition 680/1000! & Gold Edition 5069/6000! Cover is attached. All pages are present. Pictures are of actual magazine you will receive. You can't see it unless you have the right angle. The baseball card pull out is in mint condition I do not see anything wrong with it whatsoever. This issue highlights the amazing career of Bryce Harper and the Philadelphia Phillies. 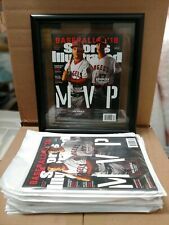 This issue is a must for any Bryce Harper or Philadelphia Phillies fan. Get this issue while you still can. BRYCE HARPER PHILADELPHIA PHILLIES MLB SPORTS ILLUSTRATED SEPTEMBER 22, 2014. In very good to excellent condition, see pics for more detail. The last 2 pages are torn and missing pieces. Nice photo of Feller. Magazine lots of scratches in periphery. THIS IS A SPORT MAGAZINE FROM DEC 1961 WITH SAM HUFF ON THE COVER. MAGAZINE IS IN PRETTY NICE CONDITION FOR THE AGE. NO TORN OUT OR RIPPED PAGES. This includes 6 players see photos. Very nice cards! MARIANO RIVERA. NEW YORK YANKEES. SPORTS ILLUSTRATED. Super "Rare" No Label News-Stand. LUCKY ENOUGH TO HAVE IT AUTOGRAPHED. A NEWS-STAND "NO LABEL" EDITION. Favorite History. IT IS A NEWS-STAND EDITION. Photos of Babe Ruth, Ty Cobb, Rogers Hornsby and more. June 1927 Baseball Magazine. 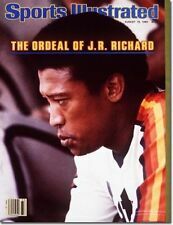 Also many other great photos and artcles from this great era of baseball. This is a rare and highly collectible item. You are buying a March 25, - April 1, 2019 Manny Machado & Fernando Tatis Jr. San Diego Padres. REGIONAL Sports Illustrated. All my magazines range from VG to Mint Condition. (No Exceptions!). BASEBALL SCENE MAGAZINE 1993 ANNUAL 8 PLAYER PICS ON COVER. New ListingBaseball Digest Magazine August 1966 Mazeroski And Pittsburgh Pirates . 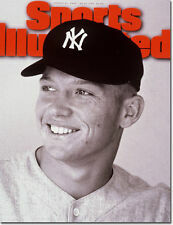 || 1967 NY Yankees Yearbook : Good : Complete : Mickey Mantle : 438 ||. good condition, complete, font and back cover good (writing on inside), cover is separated fron book,, see scans. This is a lot of 5 issues of Baseball Digest including Oct 1948, Sept 1949, April 1950, July 1951 & Jan 1953, good condition. Program is in nice shape with all pages intact. 1990 Issue of Sports Illustrated showing Seattle Mariners standout Ken Griffey Jr. Bringing up Junior. This issue is Griffey’s first SI Cover. Magazine is complete and in very nice condition (see pics). All my magazines range from EX to Mint Condition. 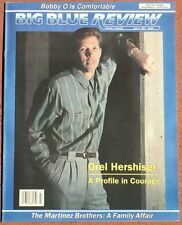 This magazine is super hard to find NOW. No Exceptions! SPORT ILLUSTRATED. WHO'S YOUR PADRE?. 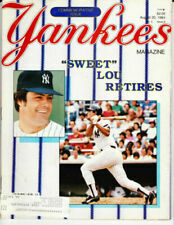 One 1978 All Star Gallery Magazine with Pete Rose, Cincinnati Reds & Thurman Munson, NY Yankees on the cover. Magazine contains 27 color baseball cards of the Texas Rangers. Autographs are Carlton Fisk (HOF), Sparky Lyle, Greg Nettles, Willie Randolph, Robin Yount (HOF), Larry Bowa, Steve Carlton (HOF), Rollie Fingers (HOF), Greg Luzinski, Joe Morgan (HOF), Bobby Murcer, Dave Parker, Mike Schmidt (HOF) & Ted Simmons. 1930 Baseball Magazine with Connie Mack and Al Simmons on the cover. Very good condition. Lots of photos and information.